Motorcycling has always been about fun and without a doubt it can be a blast, but it’s not a video game, or a trip to an over-safety-engineered amusement park. Riding takes more skills and focus than driving a car, and the penalty for getting it wrong is usually more severe. Like a lot of higher-stakes adrenaline rushes, riding is a measured gambit, and one to always maintain a healthy respect for. But most people know this already, so what is there to talk about right? Wrong. Even the best riders crash. Sometimes it is their fault. Sometimes not. Does it really matter if you or someone you care about goes down and gets hurt? Sure it matters on one level, but even more important is ensuring it does not happen in the first place – or if it does anyway, you are as prepared as possible. 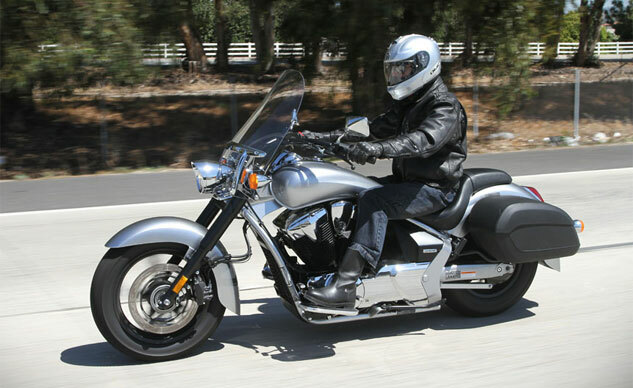 Unlike automobile driving, motorcycling involves far more variables to pay attention to. These include details involved with protecting yourself, improving your ability and focus, making sure your machine is in good working order, and watching out for the other driver. Riding takes more skills and focus than driving a car, and the penalty for getting it wrong is usually more severe. As such, we’ll hit some of the high spots to stay mindful of. Nearly two-thirds of American states now require no helmet for most riders, or certified motorcycle-specific clothing. It may be your right not to wear these, but never is it a good idea. 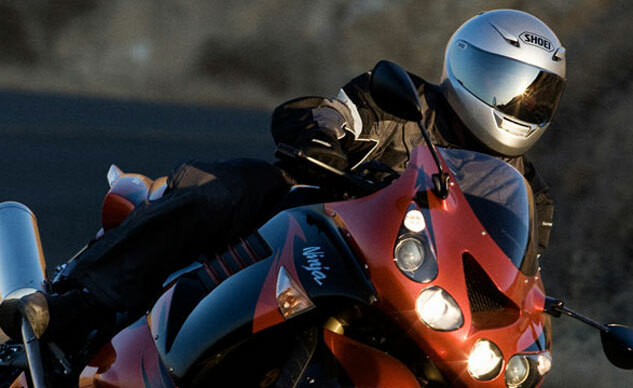 Though most states don’t require you to wear one, we can’t think of a good idea not to put on a helmet when you ride. All sanctioned racing requires full coverage helmets that meet minimum certification standards, and head-to-toe protection. If the pros know the gear serves a life-saving purpose, doesn’t that suggest everyday riders should follow their example? True, it can be tempting on a hot day to forget the leather or textile, but why take that chance? There is gear made for every climate from cold weather to super hot. Road rash and broken bones are serious business, as many an experienced rider can tell you. With no crash cage around you, and the increased likelihood of one day hitting the ground or another immovable object, why risk it? Some modern bikes are so well engineered, they can make you think you can bend the laws of physics. The more skilled you get, the more this can seem true. Anyone with money or credit can buy a bike, but becoming competent is your job. You owe it to yourself to do it. Buying the bike and getting licensed are only the beginning. An occassional refresher from a good riding school can make you a better and safer rider. 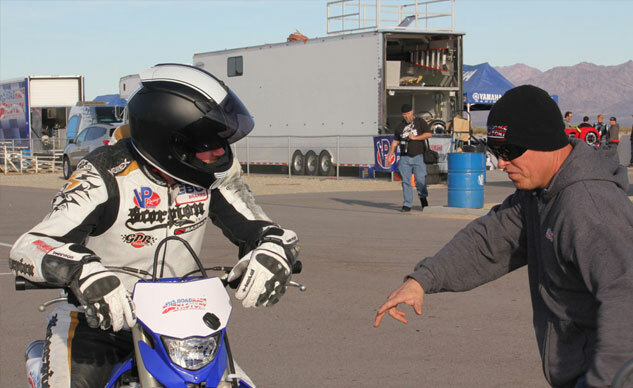 Follow-up courses from the Motorcycle Safety Foundation’s Basic Rider Course, to Lee Parks’ Total Control, to advanced-level stuff like supervised track days and rider schools such as those put on by Reg Pridmore are highly recommended. Rider trainers like Keith Code, Lee Parks, and others have great books like A Twist of the Wrist, or Total Control, that will focus self-teaching. Adapting the attitude of a “lifelong learner” is the smartest one to take. 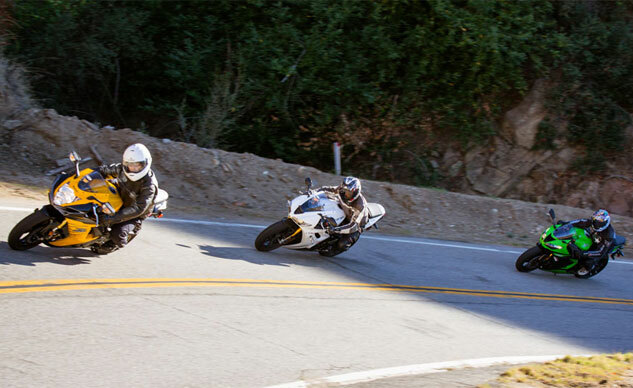 As two-wheeled, single-track vehicles, motorcycles and gravity have a love-hate relationship. The Motorcycle Safety Foundation has adopted a vehicle check procedure recommended before every ride. Yep. It takes a few minutes, but one day could save you – and your bike. ABS brakes are an investment worth making. The Insurance Institute for Highway Safety strongly recommends ABS brakes too, if you can get a bike with them. With lots of moving parts, and less margin for error, getting a machine you can control, and ensuring it is in good condition is in your own best interest. Pride in your machine is also part of the whole ownership experience. Even if you do everything right, you can still be taken out. Most of the time it is an accident. Sometimes it isn’t. Yes, road rage is a reality, and all the more reason to stay sober and vigilant. As for the usual concerns, it has long been known that motorcycles can be “invisible” to motorists who are visually scanning for large vehicles and can tune you out. This is especially true when approaching intersections. More than half of all crashes happen as a result of driver negligence, and failure to yield the motorcyclist’s right of way. Wearing bright clothing is a no brainer here. At least a colorful jacket or vest over your jacket helps. If you choose not to, are you good with the front brake? The front brake typically does 85-100% of the stopping. Are you good at evasive maneuvers? If not go back to the “Rider” section and think about where you’ll be taking your next skills class. And for safety gear, check one of the many aftermarket suppliers. Some good choices can be found at Aerostich. At night, having reflectivity on your gear and bike help, as do extra running lights. If you are concerned about style and how you look, it can be done in good taste so you don’t look like Ralph Nader was your dad and dressed you in the morning. All kidding aside, distracted driving is no joke. The U.S. Department of Transportation now has annual “summits” where besides doing a lot of hand wringing, and issuing stern warnings, safety authorities discuss the “epidemic” of distracted driving. Unlike the flu, there is no shot at the corner drug store for this epidemiological symptom the entire U.S. has been diagnosed with. People behind the wheel are texting, making phone calls, handing out meals for the kids, talking to people in the back seat, all sorts of things these days. • In 2009, 5,474 people were killed in crashes involving driver distraction (16 percent of the total fatalities). • The proportion of fatalities reportedly associated with driver distraction increased from 10 percent in 2005 to 16 percent in 2009. • 20 percent of injury crashes in 2009 involved reports of distracted driving. If you take away anything from this, we hope it is this: You are the one most responsible for your own safety. Even if you have ABS brakes or an airbag, riding is still inherently more risky. The upside is it is usually way more fun than driving a car, and typically more economical as well. It is a phenomenal sport and hooks people for life. We’d like to see you be one of them, and our best advice is have fun, but be prepared.